This week’s favorite is not limited to this week, I’ve been reaching for this a lot lately. 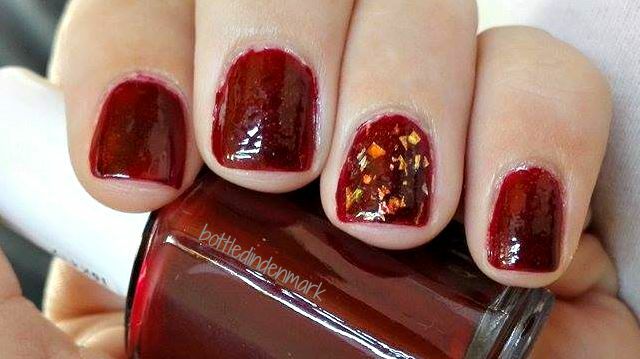 This is my first flaky polish, but definitely not my last! It is the perfect polish for an accent nail because the flakies look different depending on the color polish it’s layered over. Perfect! I saw an episode of Gossip Girl and one of the characters – I don’t even remember which one – was wearing dark red nail polish and I can’t even remember the last time I just had plain, red nails. Of course, not completely plain, because I can hardly ever resist doing an accent nail and I’ve really been loving this flaky-polish lately. I just feel like you can never go wrong with such a classic color. The polishes are Essie’s ‘Bordeaux’ and China Glaze’s ‘Luxe & Lush’. FINALLY my package arrived! I’ve had to wait for it a lot longer than expected, but it was definitely worth it because it was filled with 7 new China Glaze polishes! Actually, these are my first China Glaze polishes ever, so I was very excited to try them out. I’d actually purchased 8, but one of them was out of stock, so I’ll have to wait a little while longer for that. 4 of the polishes are from their neon summer collection Electric Nights. I considered getting all, but sanity kicked in and I just went with my 5 favorite ones (one is the one out of stock) and then I got 3 others who were on sale. 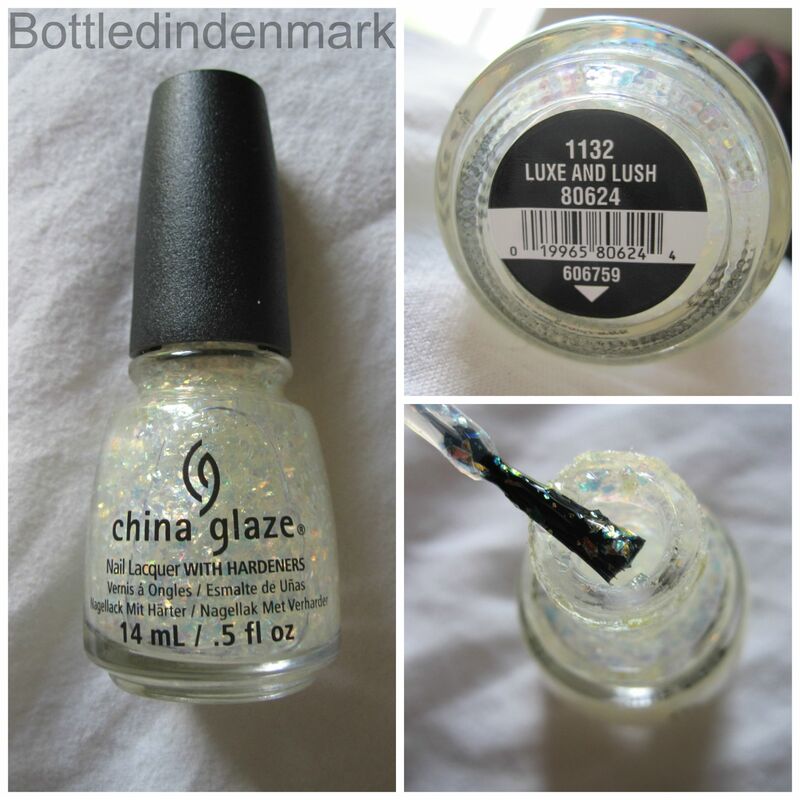 China Glaze Electric Nights – Which to buy? China Glaze has just revealed their new collection which is packed with awesome neons and I want them all! unfortunately, they’re a bit more expensive in Denmark than in USA, so I need your help deciding which to get! Did any of them disappoint you?